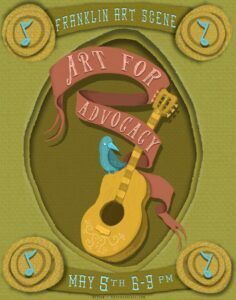 Franklin Art Scene TONIGHT– Students to showcase original art and music for a good cause! Join us in #DowntownFranklin for tonight’s May Franklin Art Scene! Students from Renaissance High School will showcase their artwork and perform live original music during the free monthly art crawl in and around America’s Favorite Main Street.